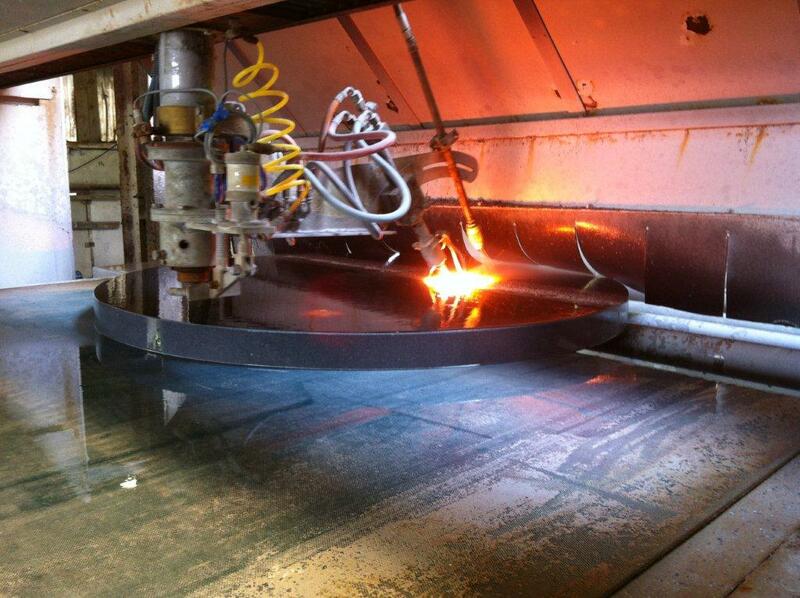 This is a picture from Niall At McKeon stone last week of the disk being flamed to create its textured non-slip surface, before shipping. This entry was posted in Cotswold Way Marker and tagged Cotswold Way Marker, Irish blue limestone by iaincotton. Bookmark the permalink.